Since that time, many different styles or schools of Pilates technique have evolved. 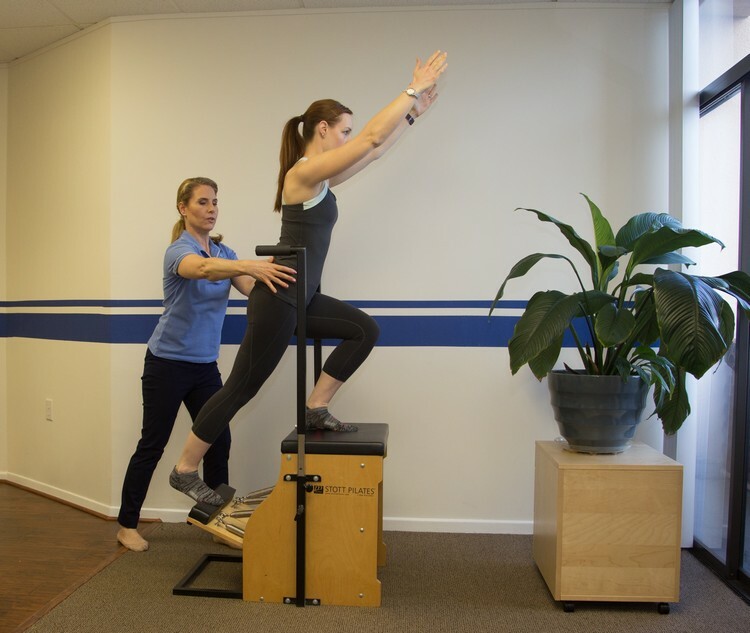 STOTT/Merrithew is one contemporary Pilates school that incorporates modern principles from spinal research, exercise science, and physical therapy. Multi-dimensional movements on a mat or with resistance equipment develop core stability and whole -body strength. A repertoire of more than 500 exercises allows the instructor to develop simple introductory programs as well as complex, challenging workouts. It is well suited to all levels of ability, from aging adults to elite athletes. While many of the Pilates exercises can be done on a mat, Mr. Pilates also developed innovative equipment that uses springs as resistance including the Reformer, Trapeze table, and the Chair. At Stabilize, we use top of the line Balanced Body and STOTT equipment to train you in the Pilates technique. Our Pilates instructors are physical therapists with STOTT Pilates certification. Their knowledge of anatomy and injuries set Stabilize apart from other Pilates studios. Our focus on technique and form keeps you safe and confident as you progress.